​It's never convenient when one of your appliances breaks down and you're unable to fix the problem. When you are in need of appliance repair in St Louis, it's time to call St. Louis Appliance Pros. We are the experts in repairing appliances and provide a wide variety of services for both residential and commercial customers. 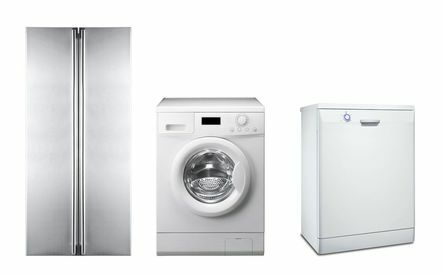 Everyday appliances can make our life easy, but when they break down there is no worse feeling than having to deal without them for any period of time. St. Louis Appliance Pros will take the stress and hassle out of getting your appliance fixed. We know how important it is for you to get your appliance back up and running, and we will do whatever it takes to get the job done right. No project is too small or too big, and our staff provides top of the line customer service at the most affordable prices in the industry. Give us a call today at 314-310-6286 and we can give you a quote immediately for our services! Refrigerators are meant to keep our food and drinks cold and safe. When they experience issues it can become a big problem. Suddenly you need to find a way to salvage what you have if possible and then get immediate help to solve the problem. Nothing ruins your day more than finding out your freezer is not working properly. St. Louis Appliance Pros has you covered when your refrigerator or freezer needs to be restored to working condition. ​Washing machines and dryers make doing laundry so easy. If anything happens to one or the other, the process of doing laundry becomes extremely complicated and time consuming. We can fix your washer or dryer immediately so that way you're not stuck going to your local laundromat. St. Louis Appliance Pros will have you back doing your laundry automatically in no time. Garbage disposals are often a forgotten piece to a working kitchen. Since it can be forgotten, it is also a common thing that can experience issues. Things can be put into the garbage disposal that are not supposed to be, and it can cause your sink to back up. If this happens, you need to get St. Louis Appliance Pros out to take a look at your issue. Ovens are a vital piece to cooking any meal. Whether you have a wall oven or cooktop, our technicians will be able to fix your oven and make sure that it is ready to go in no time. Meal prepping or cooking without a working oven is not fun and can cause headaches and hassles, not to mention eating out more. When you experience issues with your oven, it is time to call St. Louis Appliance Pros. It does not matter the time of year, heating and cooling are always essential to being comfortable in your home or office. St. Louis is known for weather that can be unpredictable with one day it snowing, and the next day it is sunny. Having a working HVAC system is always important as a result. If you have any issues with your heating or cooling, it is best to leave it to the professionals at St. Louis Appliance Pros. St. Louis Appliance Pros can satisfy all of your residential and commercial appliance repair needs when it comes to refrigerators, dishwashers, garbage disposals, washers, dryers(gas & electric), ovens, and HVAC systems in St Louis Mo. Our staff is made up of a variety of technicians who have expertise that vary across most brands for the appliances that we service. ​Below are just a few of the brands that we work with a consistent basis. Just because a particular brand is not listed, does not mean we cannot offer repair services for them. Give us a call today at 314-310-6286 and we can inform you of whether or not we can service your brand! St. Louis Appliance Pros offers both residential and commercial services to our customers across the greater St. Louis, MO and surrounding areas. 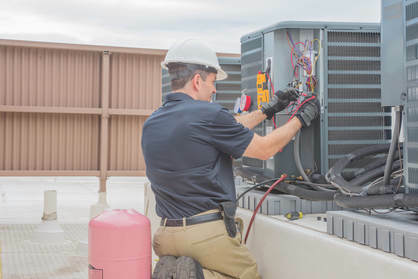 Our staff is full of high qualified, and trusted technicians that have years of experience in repairing refrigerators, garbage disposals, dishwashers, washing machines, dryers (electric and gas), ovens, and HVAC systems. If you are need of a service that is not listed, please contact us at 314-310-6286, as we may be able to fix your issue! We can offer same day service to our customers and even have emergency repair services available 24/7 and 365 days a year. Our services come with a warranty on part and labor for all makes/models that are repaired for any appliance. When you call St. Louis Appliance Pros, we will offer a free estimate to you over the phone so that you know exactly what to expect. You will not find any hidden charges when dealing with our repairs and that is what customers love about working with us! Reach out to St. Louis Appliance Pros today and let us get working on your appliance repair immediately. Issues with our everyday appliances can get in the way of our daily routine and often causes more problems for us. When you are in need of a repair, look no further than the most trusted and qualified repair technicians in the St. Louis area. We offer exceptional service, top-notch repairs, and quality customer service all while offering the most competitive prices in the area. St. Louis Appliance Pros will have your appliance back up and running better than ever before. We strive to take the hassle and stress out of your life when appliances break down by offering free, no obligation estimates on our services. Our trained staff will never up-charge or sell you more services than you need. Whether you want to wait before moving forward with our services or have us perform the repairs immediately, we can accommodate to your schedule and needs! Don't hesitate to call St. Louis Appliance Pros today at 314-310-6286 for all of your residential and commercial appliance repair needs!